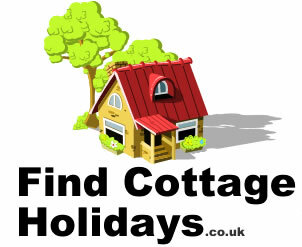 To have your choice of the best holiday cottages and apartments for the 2016 summer holidays you need to be thinking about booking now. Now is also the perfect time to benefit from some of the holiday operators early booking incentives that can really make a big difference such as ultra low deposits. Looking for some holiday inspiration? If you are heading south then Cornwall, Devon and Somerset are huge holiday favourites, not surprising when they have the best of the British holiday weather, great beaches and lots of attractions to keep the whole family amused. If you are heading east, check out the Norfolk Broads and the gorgeous Suffolk coast. If you are heading west how about the Cotswolds and Pembrokeshire. The Yorkshire Dales, Northumberland Coast and the Scottish Cairngorms are also popular destinations. Plenty to do when you get there! Throughout the summer all the attractions are open and there are festivals and events aplenty, so you will not be short of things to do on your summer holiday. It will come as no surprise that July and August are peak season months for holiday homes in the UK and Ireland and as result cottages, apartments and holiday flats can be expected to sell out very quickly over the summer. Therefore as well as checking online we recommend calling 0345 498 6152 to check on the latest availability of the self catering accommodation you are looking at. The operators will also be able to search for you across a range of other self catering options including caravan parks and boats!